It all started when I learned to walk. Our next-door neighbor had a baby girl, Aimee, who was also my age. Our moms basically did everything together, from grocery shopping, to play-time, we practically lived at each other’s houses. Our big sisters were best friends. It only made sense that Aimee and I were friends as well. From toddler time to elementary school, Aimee and I were inseparable. Aimee was also a bully. From a very young age, I learned to follow her orders. If she wanted me to do something, and I refused, she’d make me pay by pouting and screaming until I gave in. By the time my family moved, and I was assigned to a new school, I had already been conditioned to take other kids’ orders. Not until freshman year in high school did I learn to stand up for myself. By this time, I had a new best friend, Heidi, who didn’t take crap from anyone. She was a good friend to have around, not just because we understood each other so well, but because when she was with me, nobody messed with me. Kinda pathetic, relying on someone else to fight my battles. One day in Spanish class, another student did order me around in front of Heidi. We were working on an art project and a bully rudely told me to give her my pair of scissors. This was one of the tough kids, so rather than risk a confrontation, I handed her my scissors. Heidi snatched them back from her. The bully just sat in silence. So did I. She was probably intimidated by Heidi’s attitude. And me, I was embarrassed by Heidi’s attitude. Because Heidi was right. I did need to stick up for myself. Later on in geography class, I didn’t have Heidi there to defend me when a girl named Dawn demanded I give her my extra pencil. I refused, telling her that since she was always rude to me, I wasn’t about to share. Her jaw dropped and she turned around. Everyone around us laughed at Dawn. I have to admit, it felt pretty awesome watching her turn ten shades of red. Now that I’m an adult, I see how bullying takes many forms. As we age, we allow college professors, coworkers, and bosses to bully us, too. If kids allow bullies to taunt them in school, it won’t end there. It will just continue on into adulthood. As a parent, I couldn’t let my kiddo go through the trauma that I suffered. Not every kid gets their own Heidi. They need to be taught how to defend themselves. She’s dealt with a few bullies so far this year, but my husband and I have already prepared her. Thankfully, she knows to stand up for herself. Unfortunately, not every kid is taught these life lessons. But we as parents, brothers, sisters and friends need to do our part and help kids who are being bullied, not only do we need to teach them how to stand up for themselves, but we need to get school officials involved when necessary. Heidi was the inspiration for AJ Dawson, one of the characters in my Whispers series. 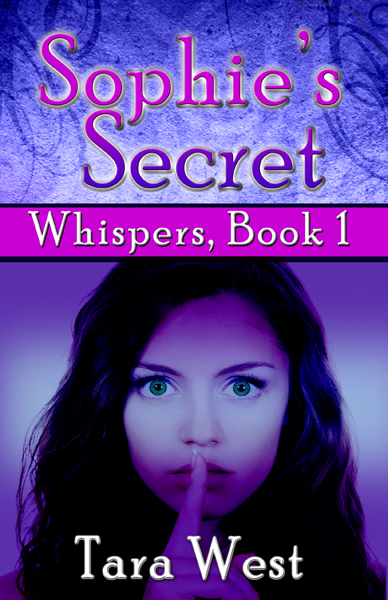 In SOPHIE’S SECRET, she teaches Sophie Sinora how to stand up for herself against a locker bully. 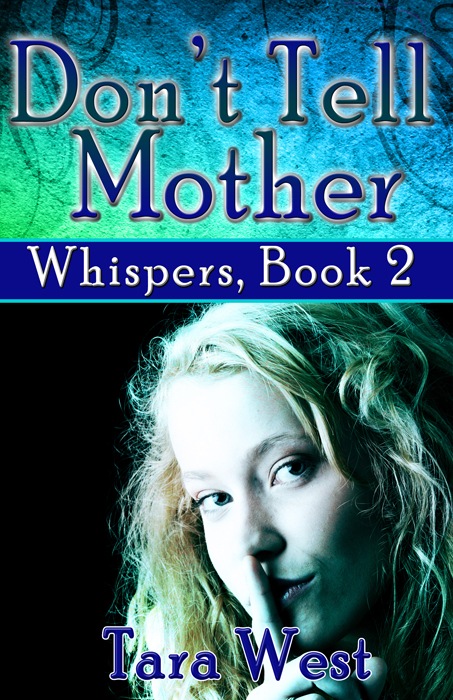 In DON’T TELL MOTHER, AJ has to defend herself when her mother refuses to believe she has the power to see the future. Heidi and I are still friends. She’s got four kids of her own now and teaches school. Her kids are lucky. I’m sure they’ve learned all about standing up for themselves from a great role model. Categories: Self Esteem | Tags: abuse, bullies, bully, bullying, don't tell mother, eclective, role models, self esteem, sophie's secret, tara west, whispers series, ya paranormal | Permalink. I’ve never thought idol worship was healthy for young girls. That’s why when the Hanna Montana craze spread throughout the country, I discouraged my daughter from following the millions of other young girls. Because I think a girl needs to focus on feeling good about herself as an individual, not try to follow in the footsteps of another. Why do you want to wear a Hanna wig and pretend to be her when you can take pride in being yourself? Recently, though, Miley Cyrus did something that I think is worth admiration. She shared with the public that she has food intolerances, the same intolerances my daughter has. My little girl was actually happy to learn that a Hollywood celebrity has the same dietary restrictions as her. And though I think girls should take pride in what separates them from others, every once in a while, a girl likes to feel like she belongs. It’s hard for my daughter sometimes when the class has a pizza party or the kids’ parents bring in cupcakes and she can’t eat what they’re eating. Although, I think it gives her some perspective. Now she understands why the kid in the wheelchair feels left out when the other kids are on the swings. In this country, we place so much emphasis on eating as part of reward and celebration. We equate good food with good behavior and success. Often times, teachers and other parents don’t take into consideration how the kid with food intolerances will feel when he/she is left out of the celebration. Many parents end up leaving my daughter off the Birthday party invites because it’s easier to not invite her than to accommodate her. This is why kids with disabilities or restrictions, physical, emotional or mental, can feel so isolated and depressed. Though I tell my daughter she is unique and special, sometimes she would rather be like everyone else. 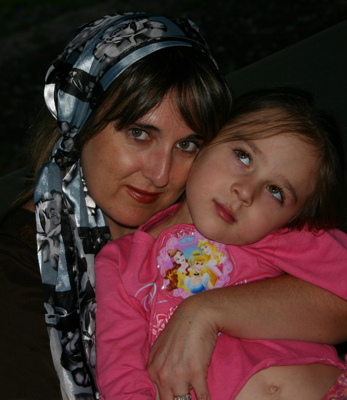 Her dietary issues are just one example of the many challenges kids face today. Sadly, young girls are bombarded with ads about body image at an early age. It’s so easy for a young girl to feel isolated or depressed because she thinks her breasts are too small or her nose is too big. It’s so easy for her to overlook the fact that nobody is perfect. Nobody. And those Hollywood celebs they idolize are most-likely air-brushed and professionally styled. I tell my daughter to focus on what makes her special. Though she’s not at the age yet where body image is a big deal, I know it won’t be long. By then, I’m hoping she will have the inner strength to realize that her differences are what make her beautiful. Categories: Self Esteem | Tags: celiac, dairy intolerance, eclective, gluten free, gluten free diet, gluten intolerance, Miley Cyrus, self esteem, tara west, whispers series | Permalink.